Today we passed over the reigns to our design studio to put together a few points they always consider when designing a leaflet. We understand that not everyone is a graphic designer, nor do they have degrees in marketing and so we hope this little guide presents a little more insight into the do’s and don’ts when designing a leaflet for your business. At any stage remember we’re only a phonemail away and you can get us on 028 9002 2474 or send us your artwork to check via the website. Even in this digital age leaflet printing has remained an extremely effective and thus popular marketing method. For such a low cost you can directly market your target audience with a specific message aiming to promote your business goals in a specific manner. Basically, leaflets get the right message to the right people and it’s up to you to get it to them at the time they have a need for your services. But getting leaflet design right is not an easy task, in fact over the past 7 years in business and with the help of our extremely talented design studio with over 60 years combined experience, we’ve got this down to an art, backed up with the knowledge of what works and what doesn't work. We understand that every business is different, but if you use the following best practice tips, then you’re 90% of your way there to designing the perfect leaflet for print. If you get stuck along the way, we’d only be too happy to help and by understanding the points below you will be in a much better position to give us the perfect brief to design and print leaflets to the highest standard for your business. How your leaflet is designed is one thing, but what’s printed on it, is another. Before starting, understand what you are trying to achieve with this leaflet. Type it out, check for spelling and focus on the key message you are promoting. A call to action or link to sale ensures you always present the options for interested parties to get in touch. This could be your telephone number, email or website addresses, or maybe all three. It could be the offer itself that drives people to take action and so your must understand what people are looking for and how they will take action. In doing so you can easily present them with the options to make a sale and to contact you. The old adage “less is more” is something we adhere to everyday. Focus on your key message rather than all the messages you'd like to present. By keeping your leaflet design simple and focused your will present the products and services in the perfect light to get actions. We also advise you purchase high resolution photos or images for your leaflets. Images taken from the internet are usually unsuitable for print, but may also have copyright issues than can result in legal action and costs. For the price of a lunch you can buy the rights to use a high quality photo or image in your leaflet design. This can completely transform your design for the better. As a general rule, we suggest you keep all text at least 6mm away from the edges of your design. If you are a seasoned designer you can adhere to stricter margins, but for those designing in photoshop or another similar tool, the larger the margin you can provide us from your text to the edge, the less chance there is it may be cut off when being trimmed by our finishing department. Its extremely important to save your file in a CMYK format when designing your leaflet. RGB which is another commonly used colour format, is only suitable for screen and when printing from this file type colours will seem considerably darker as a result. 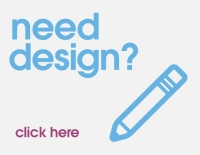 We’ve a team of 7 full-time designers here to help you with any of your leaflet design projects. We understand your skills lie elsewhere in your business and that designing leaflets isn’t something you undertake everyday, so with a lear brief and consideration for the points above, we are confident that we can create the perfect leaflet design each and every time. Drop us a message via the contact form and we can get you scheduled in with a designer at a time that suits you.